The San Diego Housing Commission plans a Housing First Model in a 72-unit rehabilitation of a local historical landmark. 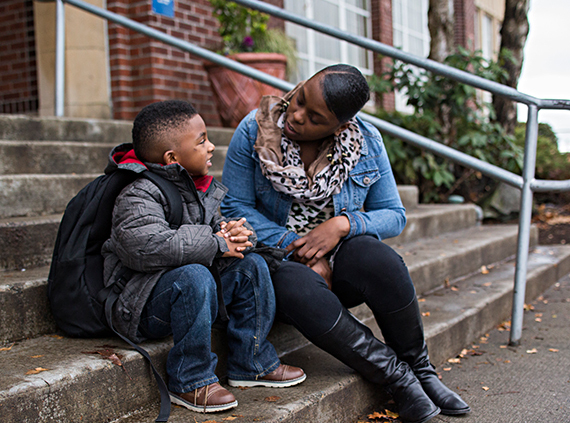 The Tacoma Housing Authority is seeking to improve outcomes for participating families and students, and for an entire school. Eligible PHAs interested in joining the MTW Demonstration Program can find everything they need to know by going to a new webpage dedicated to the Expansion Cohorts. On December 27, 2018 the MTW Amendment to the Consolidated Annual Contributions Contract (CACC), was published in the Federal Register for a 60-day public comment period. The CACC will be amended for the PHA’s designation as an MTW agency. The amendment will set the term of participation, detail the requirements and covenants for a PHA to follow the MTW Operations Notice and its respective Selection Notice, which will detail cohort study obligations; and it will outline the possibility of a transition out of the demonstration. The amendment will also contain HUD’s recourse provisions in the case of a PHA’s default. We welcome any comments that you may have, which must be submitted directly to HUD by February 25, 2019. This webcast gives an overview of the PIH Notice to select the first cohort to the MTW Expansion, and explains how interested PHAs can apply to the initial cohort of Moving to Work (MTW) demonstration program. The Initial cohort will study MTW Flexibility and will be comprised of 30 PHAs that are high performers and administer less than 1,000 combined Housing Choice Vouchers and public housing units. On October 11, 2018, HUD published Notice PIH 2018-17, Request for Letters of Interest and Applications under the Moving to Work Demonstration Program for Fiscal Year 2019: COHORT #1 – Overall Impact of Moving to Work Flexibility. This PIH Notice gives interested PHAs the opportunity to apply to the initial cohort of Moving to Work (MTW) demonstration program. 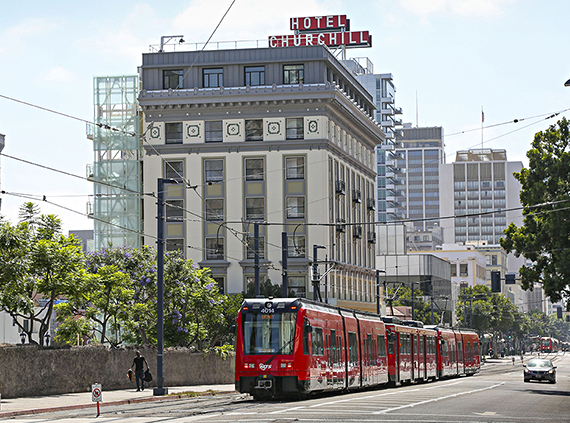 The Initial cohort will study MTW Flexibility and will be comprised of 30 PHAs that are high performers and administer less than 1,000 combined Housing Choice Vouchers and public housing units. In 2015, Congress directed HUD to expand the demonstration by 100 PHAs over seven years. The MTW Research Advisory Committee, recommended four policy changes that HUD will evaluate through the four MTW expansion cohorts: MTW flexibility, rent reform, work requirements and landlord incentives. Agencies interested in applying to the initial cohort – MTW flexibility, will be chosen through a two-step selection process explained in Notice PIH 2018-17. The application to apply to the second cohort of the new MTW PHAs, rent reform, will be announced later this year. Additionally, on October 5, 2018, HUD published Federal Register Notice, FR-5994-N-03, Operations Notice for the Expansion of the MTW Demonstration Program (Operations Notice) on the implementation and the operations of the MTW expansion. The public is encouraged to provide comment and has 45 days to do so.This Notice was originally published on January 23, 2017, in the Federal Register, entitled “Operations Notice for the Expansion of the Moving to Work Demonstration Program Solicitation of Comment.” On May 4, 2017, the Notice was republished with three technical revisions and an extension of the comment period. HUD took all comments received into consideration. This Operations Notice summary document provides a helpful summary of the differences between the previous Operations Notices to the current Notice published October 5, 2018. Additionally, HUD has developed a MTW marketing brochure with great information to help spread the word to PHAs interested in applying to the MTW Demonstration Program. On October 9, 2018, the MTW Supplement form was published in the Federal Register for a 60-day comment period. The MTW Supplement will take the place of the MTW Plan/Report (i.e., Form 50900) for MTW Expansion PHAs and will be submitted once per year as part of the standard PHA Plan process. MTW Expansion PHAs will indicate the MTW activities they intend to implement from the list of MTW Waivers provided in the Operations Notice. In response to existing MTW PHA and industry feedback, HUD has attempted to simplify and streamline the reporting process, eliminate the standard metrics, and provide the same level of flexibilities through the MTW Waivers and Agency-Specific Waiver Requests. We welcome any comments that you may have, which must be submitted on the Federal Register webpage by December 10, 2018. HUD is pleased to report that Maria Razo, Executive Director of the Housing Authority of the County of San Bernardino, and Dr. Mary Pattillo, Professor at Northwestern University, have been appointed to the MTW Research Advisory Committee as of June 29, 2018, joining the 13 members that were appointed on June 21, 2016. Federal Register Public Comments: HUD appreciates all the time and consideration that the public gave in responding to the Federal Register Notices FR-5994-N-01 and FR-5994-N-02, on the Operations for the Expansion of the MTW Demonstration. HUD will consider all comments and the public will have another opportunity to provide input before the Notice is finalized. Stay tuned for the latest updates on the Expansion at this website. The Federal Register public comments can be found here: https://www.regulations.gov/docketBrowser?rpp=50&so=DESC&sb=postedDate&po=0&dct=PS&D=HUD-2017-0013 and a summary of the feedback received at the listening sessions can be found here. During the months of April and May, the MTW Office held four in-person listening sessions for PHAs and stakeholders interested in the MTW Expansion Operations Notice. As part of our commitment to making the listening sessions accessible to all interested parties, portions of the Washington, DC listening session were videotaped. The video includes members of the MTW Team providing an overview of select sections of the Operations Notice and can be accessed here along with the PowerPoint from the listening sessions. As a reminder, the comment period for Federal Register Notice: FR-5994-N-02, Operations Notice for the Expansion of the Moving to Work Demonstration Program Solicitation of Comment; Waiver Revision and Reopening of Comment Period closes on June 5, 2017. All interested stakeholders are encouraged to submit comments. On May 4, 2017, HUD published Federal Register Notice: FR-5994-N-02, Operations Notice for the Expansion of the Moving to Work Demonstration Program Solicitation of Comment; Waiver Revision and Reopening of Comment Period. This Notice revises the parameters of three waiver provisions and reopens the comment period for HUD's January 23, 2017, Federal Register notice entitled Operations Notice for the Expansion of the Moving to Work (MTW) Demonstration Program Solicitation of Comment (Operations Notice). The comment period is reopened for 32 days, until June 5, 2017, to allow interested participants and stakeholders additional time to review the Operations Notice and provide feedback to HUD. On January 23, 2017, HUD published Federal Register Notice FR-5994-N-01, Operations Notice for the Expansion of the Moving to Work (MTW) Demonstration Program Solicitation of Comment (Operations Notice). The Operations Notice requests public comment on the implementation and operations of the MTW Expansion, as authorized by the 2016 Consolidated Appropriations Act (Appropriations Act). HUD will reopen the comment period for the Operations Notice in the coming days in order to allow interested participants and stakeholders additional time to review the Operations Notice and provide feedback to HUD. HUD encourages the public to provide feedback to the Operations Notice. Public comments will inform HUD on the implementation and continued operations of the MTW agencies selected pursuant to the 2016 Appropriations Act. In-person Listening Sessions: As part of our continuing efforts to foster dialogue with our partners, the MTW Office will hold four listening sessions for PHAs that are interested in applying to MTW and other industry partners. These sessions will be held in Denver, Ft. Worth, Newark, NJ and Washington, DC. Through these listening sessions, we hope to hear feedback on the entire Operations Notice, focusing on the following sections: evaluation and performance assessment; calculation of funding; statutory and regulatory waivers; and regionalization. More information on the listening sessions, including how to register, can be found here. For each cohort of agencies brought on by the MTW Expansion, as authorized by the 2016 Consolidated Appropriations Act, one specific policy change will be implemented. HUD published notices to solicit public comments in two issues of the Federal Register in order to gather public feedback about the policies to be studied. HUD requested comments on: 1) specific policy proposal recommendations to be implemented during the expansion; 2) research and evaluation proposal recommendations; and 3) comments on what policies should be considered as having already been proven successful. HUD received 40 responses to the solicitation for comments over a period of 45 days. Click here for the summary of comments related to the policies to study that will inform the MTW Research Federal Advisory Committee meetings on July 26, 2016 and July 28, 2016. As part of the Moving to Work expansion, the 2016 Consolidated Appropriations Act requires HUD to establish a research advisory committee to advise the Secretary with respect to specific policy proposals and methods of research and evaluation. The research advisory committee is comprised of representatives from MTW PHAs (staff and current/former residents), HUD program and research experts, and independent subject matter experts in housing policy research. HUD has appointed the 15 members of the committee, and the committee will begin convening this summer. Read more about the research advisory committee and its role in the Moving to Work Expansion. The 2016 Consolidated Appropriations Act expands the Moving to Work demonstration by an additional 100 public housing authorities (PHAs) over seven years. The motivation behind the expansion is straightforward: to simplify the administration of PHA programs, learn from policy interventions, and apply lessons learned to PHAs nationwide. The expansion focuses on the country’s smaller PHAs, and to be eligible to apply, PHAs must be designated as high performing agencies and meet other site selection requirements. The 100 PHAs will be brought on to the demonstration by cohort, and within each cohort, one specific policy will be implemented. HUD will learn from each cohort of MTW PHAs by testing these specific policies in the areas of cost-effectiveness, self-sufficiency, and housing choice, the three statutory purposes of the MTW demonstration. For more information, please visit the MTW expansion webpage and frequently asked questions page.